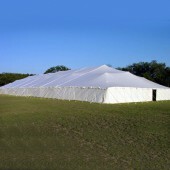 If you’re looking for huge tents for sale, look no further and check out our gallery below. 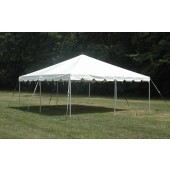 Buying a large canopy tent is not a small investment. 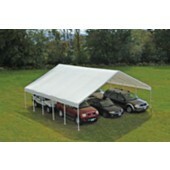 Thus, if you want to get the most from your hard-earned money, you should know how to choose one. 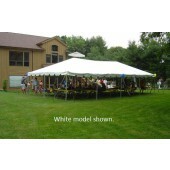 You should make sure that it can accommodate the targeted number of attendees, not to mention all other paraphernalia such as tables and chairs. 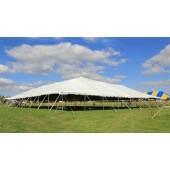 In other words, large events require large canopies. 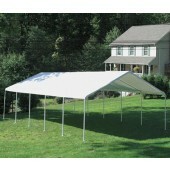 Before buying, be sure to measure the actual space upon which the big canopy is to be set up. 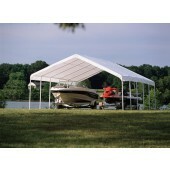 Choose only commercial canopies that are sturdy and built to last. 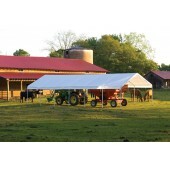 It’s not enough to buy a large canopy tent; more importantly, you must consider reliability. 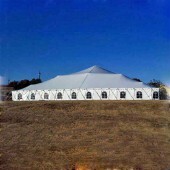 A heavy duty tent is not only able to stand the wear and tear of harsh weather, last longer and thus save a lot of money – it also ensures the comfort and safety of the people inside. 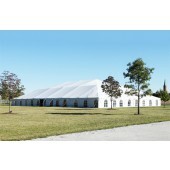 For commercial purposes, it is more practical to choose heavy duty tents. 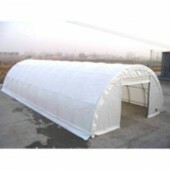 Although they may be on the pricier side, they are more durable and longer-lasting. 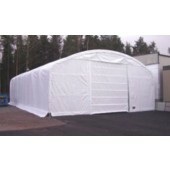 Their lightweight counterparts are ideally durable enough for short-term needs such as two-day parties or events that demand portability over durability. 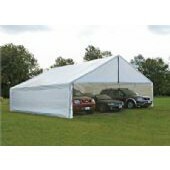 They weigh not more than 40 pounds, are able to fit into most vehicle trunks and are relatively easier to install, requiring a meager manpower of two or three people. Our Large Heavy Duty Canopy is constructed with quality craftsmanship and treated for years of use. 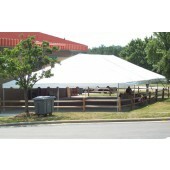 Constructed with heavy duty galvanized steel tubing and covered with our high grade Poly Cover, this canopy is durable from top to bottom. 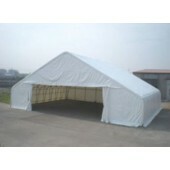 Our Large Heavy Duty Canopy features U.V. 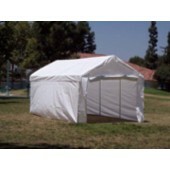 treated covers that are 100% waterproof and built to last. 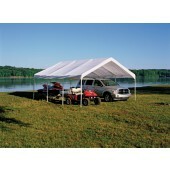 Canopymart.com honors up to a 5 Year Warranty on all of our Large Heavy Duty Canopy frames and covers. 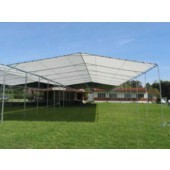 Feel free to browse through our commercial tents for sale below.